Hypro medium pressure diaphragm pumps are recommended for spraying herbicides, pesticides, liquid fertilizers, and many other hard-to-handle fluids. Low-cost maintenance and almost wear-free operation make these pumps ideal for a wide variety of spraying jobs. Pressure and output are designed for optimum performance of small to medium-sized sprayers. 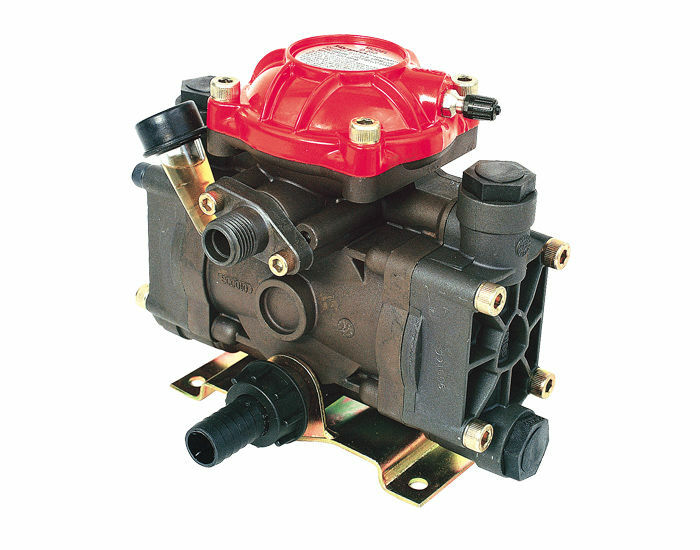 Hypro medium pressure diaphragm pumps can be adapted for male 1-3/8" splined shaft, female 1-3/8" splined shaft, 1" solid shaft, or gear reduction drive options. Pumps include a pulsation dampener.